A member of a retired United States Marine Corps was in Albany, Kentucky today and while here, presented a copy of the book, "Korea Reborn: A Grateful Nation Honors War Veterans For More Than 60 Years of Growth," to James E. Morrison, who was a Master Sargeant, a non-commissioned officer with Co. C, 23rd Infantry 2nd Division. Morrison demonstrated exceptional valor when he distinguished himself by leading his troops in an attack on Heartbreak Ridge on Sept. 2, 1951. For weeks, his platoon had been completely surrounded by North Korean troops. Before being rescued by a Calvary Division, his Silver Star citation says he continuously exposed himself to enemy fire to direct his troops. At one point, he did not hesitate to carry one his wounded officers back to the first aid station, even though he himself was wounded by a grenade during the evacuation of that officer. Refusing to be evacuated himself, Master Sargeant Morrison continued leading his platoon during violent enemy fire until they were in consolidated positions on the seized objective. During this action, he was also given the French Croix de Guerre by the United Nations French Ground Forces. 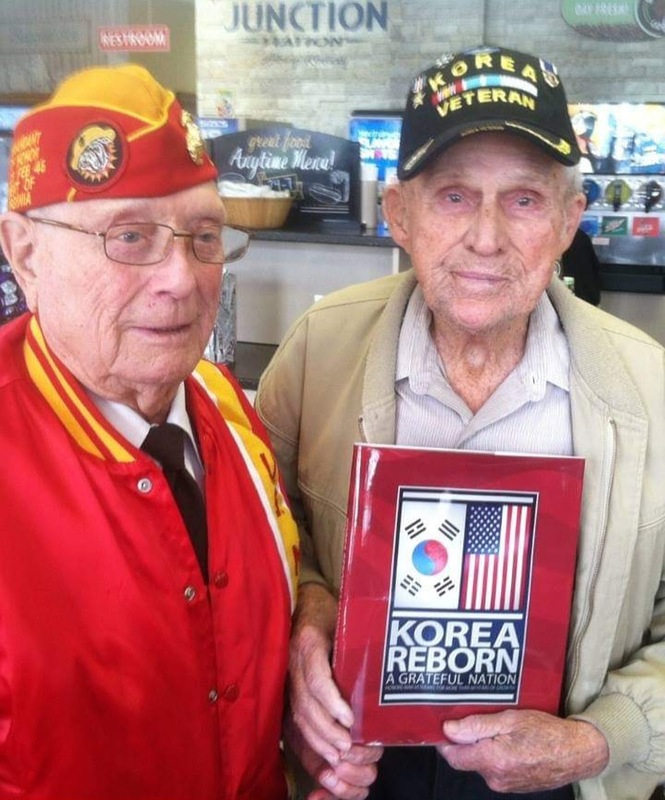 The book, presented by the KIA Motor Company, is dedicated to U.S. Veterans of the Korean War and their families, thanking them for their service.